LongHorn Ford & Lonestar Dodge is proud to serve our customers around the Mineola area and worldwide as your certified dealer. At LongHorn Ford & Lonestar Dodge we strive to provide automotive products and services of unmatched quality. We are voted as the best place to buy your new or used vehicle year-after-year and also voted the best for service including the quick lube and car wash center. 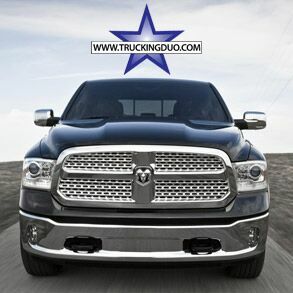 LongHorn Ford & Lonestar Dodge, your certified dealer, serving the Mineola area. Whether you're shopping for a new car, looking for parts and accessories, or need to have your vehicle serviced, You'll find what you need at LongHorn Ford & Lonestar Dodge. Our full line of vehicles are available for you to look at and test drive. Feel free to contact our customer-oriented staff with any questions or concerns about our New or Certified-Used cars in our Inventory. Also check for any New Car Specials and Coupons, Rebates or Incentives we may be currently offering. Please contact us or call us at (888) 992-9762. Quality Care is the difference between buying the car you love and loving the car you bought. It is the commitment of LongHorn Ford & Lonestar Dodge is to provide you with the highest level of service and support possible. In fact, Quality Care is one of the greatest advantages of owning a LongHorn Ford & Lonestar Dodge vehicle. Our service department is committed to your complete satisfaction.